Pioneers in the industry, we offer vegetable slicer, portable bag stitching machine and potato harvester from India. 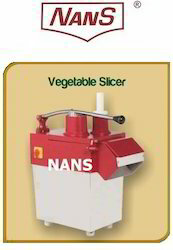 'NANS Brand Multipurpose Vegetable Cutter will give about more than seventy kinds of perfect cutting, a very high output, at an economical cost. Its ideal for Hotels, Restaurants, Industrial Canteens, Hostels, Marriage Hall and Temples apart from Manufacturing Wafers, chips, bakery items, Pickles and Tuty-Fruity. The output of the machine varies according to the blades, grids and texture of the Vegetables. 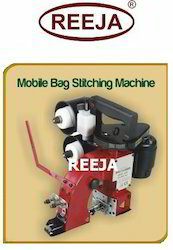 "REEJA" brand single-thread chain-stitch portable filled bags closing sewing machine. This robust machine stands up to the most demanding sewing jobs on all types of paper, textile and poly bags made from HDPE/PP, etc. It is simple to operate, even for inexperienced users. The reinforced feed mechanism consisting of wider presser foot and feed dog with a bigger throat plate than conventional single thread chain-stitch bag closing machines helps achieve smoother, even and better looking plain and folded top closures. "REEJA" brand bag closing machine housing is cast and machined to close tolerance and the parts undergo suitable heat treatment processes making them wear resistant, thus reducing downtime and repair costs. 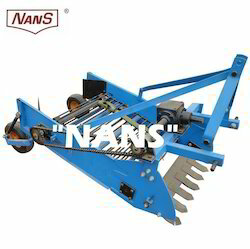 This machine is dependable even under the most adverse operating conditions in an agricultural or industrial environment. Looking for Vegetable Processor ?